What is the fabric of Reality? This metaphysical seminar will build bridges between different beliefs, philosophies, religions and scientific ideas about the Universe, God and about human existence. Your will discover ancient esoteric symbols and mystical traditions and their meaning to your personal existence so that you can see the big picture of your life and live in the awareness of our vibrational nature. By the end of this transformational seminar, you will have complex understanding of Creation and human existence and the forces that influence the course of your own life but also the Universe itself. You will see the "big picture". You will not only see life in a completely different way, but you will be able to react differently to the events that affect your reality and consciously choose another course for the future. 2. What is the purpose of life? In this first part of the seminar we will aim to understand the concept of 'God' and the Universal Mind from which Creation springs. We will be looking at the Macrocosmos or the Universe. 3. What does energy mean and how does it affect me? 5. What do Life and Death mean? We will be studying the Microcosmos or Human Consciousness. The information presented in this seminar is essential for anyone pursuing a spiritual path, doing energy healing, dealing with different entities, researching mysticism, doing divination and dream interpretation and working with human consciousness and the Law of Attraction. This is the basis for all kinds of energy work and to understanding all aspects of spirituality and the way they tie in together. I have researched many years on esoteric traditions and have tried to find a bridge between religions, spirituality and science. I was driven to find the truth behind the concept of 'God' and why we are truly here, what is the purpose of it all? I have studied a lot of different approaches to esoterism, including the esoteric Kabballah, different forms of divination and magic. I also worked with 4th & 5th dimensional vibrations in my healing and research (in other words, I had guidance from the Angels, Archangels and Ascended Masters which are some of the purest and highest energies one could connect with). 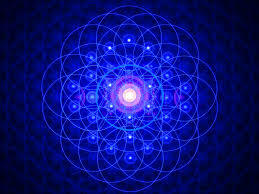 It all clicked together around 2012, when I channeled this material on the Universe called 'The Flower of Life'. Suddenly, it all made sense to me and I hope that all will make sense to you too and you will see the great image of Creation with the help of this eye opening seminar. All this insight will help you greatly in understanding common spiritual topics such as spirits, good, evil, energy healing, past lives, reincarnation, karma, etc. You will get a complex understanding of reality and life and see how everything fits perfectly together in an infinite, ever-changing matrix. Join me for a day of revelations and deep understanding of the Self and of the Universe. Bring along your curiosity and all of your unanswered questions about your life and life generally. As part of the seminar, “The Flower of Life” booklets will be given to each participant with the material presented and much more examples and explanations. Feel free to bring agendas and pens for any additional information you would like to mark down throughout the course. Filming or recording is not allowed. Participants will have the opportunity, throughout the seminar, to ask any relevant questions related to the topics presented. "Mind blowing!" - Guy L.
an accessible breakdown of nature of Reality. more conscious creators, to the degree they work through the concepts, as well as a chance to connect with a great community. Our understanding of Reality is essential to how we conduct our lives everyday, and for any real deep changes to occur in our lives, we have to expand our understanding of Reality/consciousness and work in harmony with deeper laws. The accompanying booklet is an astonishing guide through the key esoteric concepts covered; both dense and light at the same time." 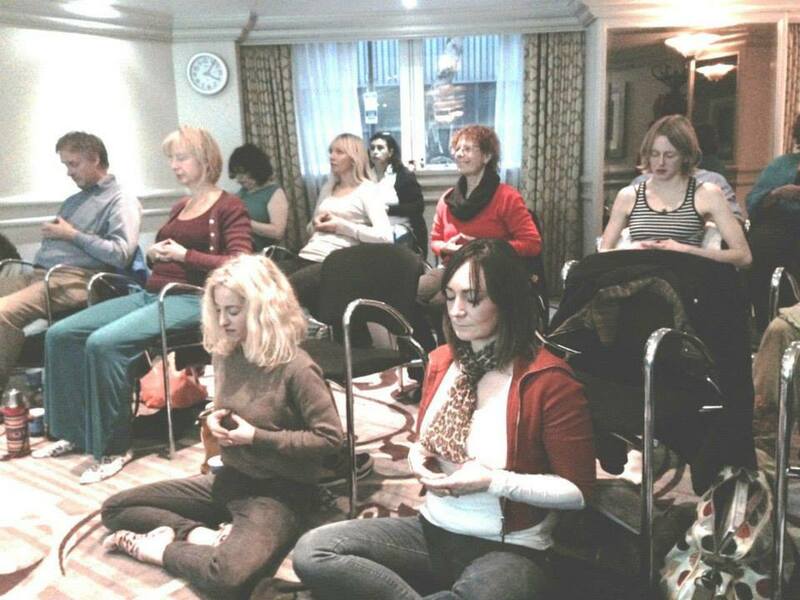 - Bapi C.
"Thank you so much Cristina for such an amazing seminar. There was so much packed into this afternoon's talk and your revelations gave me a different perspective on the state of being in this reality. I have felt at times the parallel existence of “myself” but could not explain it but thanks to your " Flower of Life” talk I now understand. The manifesting will certainly help me to help others within their own realities. The other attendees were all very special people or avatars whom i am so glad to have met and know that they are on their own rightful paths to the light. "One month ago, I went to the Flower of Life Transformational Seminar. It was the first time I learned about Kabbalah. Thanks to Cristina POPOVICI, I now understand very complicated concepts of the Tree of Life for instance. I definitely recommend this seminar because from complicated theological concepts she can adapt them to our reality. At the end, we were more conscious of how the Universe works and understating and create our own reality!" - Amanda G.
"When I first came to one of Cristina's Q&A sessions, I was amazed with how much insight she has in esoterism. So no way was I going to miss this seminar! And I'm glad I didn't. It sure is a rare thing to find people in this world that not only have such knowledge, but also have a deep understanding to be able to share it with other people. I found it to be a very interesting and meaningful seminar in which Cristina imparted a lot of wisdom and knowledge about spiritual and esoteric subjects where a lot of the things explained, just made sense. The topics explored were profound, yet not overwhelming since it was delivered in simple terms and much clarity. She also welcomed questions and encouraged discussion making it quite fun. I also liked where she explained the importance of self-awareness and the power of our own consciousness and what we can do, to bring a more positive manifestation into our lives. At the end of the seminar I left feeling more optimistic than when I came in! I really enjoyed this seminar and recommend it to anyone who wants to lift the veil of reality and understand more of who they are." - Uner Y. 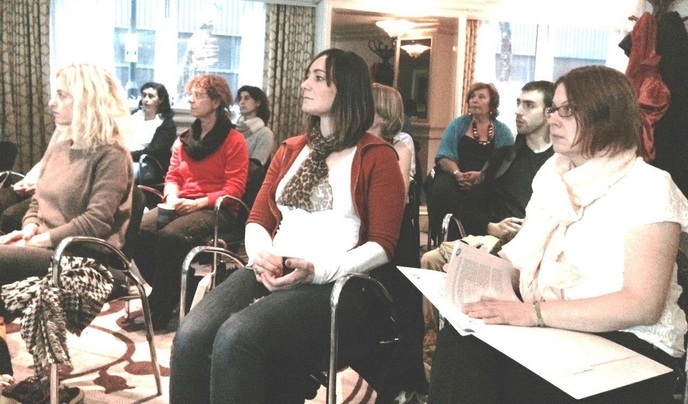 "Cristina’s seminar on Reality is a wonderful presentation on the mysterious world of consciousness." - Ewa S.